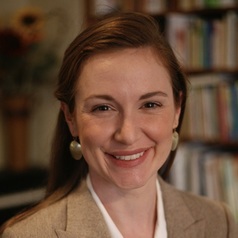 Nicole Novak is a Postdoctoral Research Scholar at the Prevention Research Center in the University of Iowa College of Public Health. From 2016-2017 she was a Research Fellow at the University of Michigan Population Studies Center. She holds a PhD in Epidemiology from the University in Michigan and a Masters of Science degrees in Medical Anthropology and Global Health Science from the University of Oxford, where she studied as a Rhodes Scholar. Dr. Novak conducts epidemiologic and community-engaged research on health and health equity, particularly with regard to psychosocial stress, race and racialization, immigration, rural health and the history of public health. Specific areas of study include the impacts of immigration enforcement on community health and community-level influences on health and health equity in midsize rural communities. Dr. Novak also collaborates with historians, ethnic studies scholars, and epidemiologists at University of Michigan and elsewhere to study the legacy of state eugenic sterilization programs in the United States.